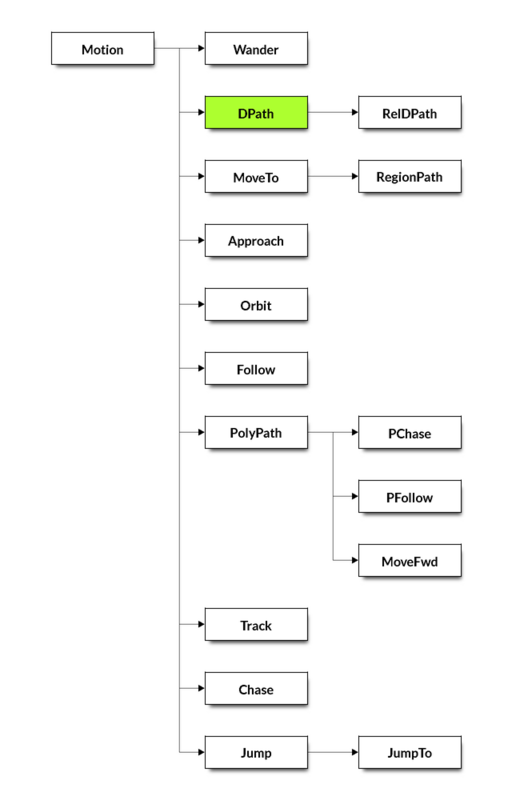 DPath (or “dynamic path”) uses a list of locations to direct the Actor towards its destination. ; Send the hoverGuys along 3 points to the destination, then cue() the caller. client The Actor to which this is attached. caller The object that will get cue()’d when the motion is complete. theClient (heapPtr) – The Actor to which this is attached. points (number) – Pairs of (x, y) coordinates. theCaller (heapPtr) – Object that will have its cue() method called when the Actor reaches the target.